Marjorie-Anne is in her fourth year of the bachelor of music program at Ambrose University. Over the years, Marjorie-Anne has volunteered her time with many organizations and fundraising initiatives, including the Students and Seniors Sharing Program in her local town and performing for both senior care homes as well as for persons with developmental disabilities. Through her passion for music, she was able to give back last year by performing at the Restoring Hope Fundraiser for victims of human trafficking. After graduating, Marjorie-Anne hopes to obtain a master’s degree in music performance and eventually earn her doctorate in music. She wants to share her Metis heritage through her art and be a positive role model to Aboriginal women and inspire them to pursue their dreams. Bronwyn is in her first year of the Health Sciences degree program at the University of Lethbridge, majoring in addictions counselling. 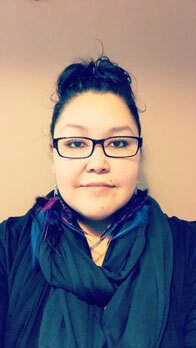 Through volunteering and a full-time summer position at the Miywasin Society of Aboriginal Services she's participated in activities like youth gym night, cultural crafts, teaching jigging to youth and an Elders lounge – an opportunity to share experiences and learn through the great wisdom of the Elders. While working as the cultural summer student, Bronwyn contributed to developing positive cultural identity in her community by planning, organizing and coordinating several cultural events. After successfully overcoming her own personal battles, Bronwyn is dedicated to building on her experience to help others who struggle with mental illness. When she graduates, she hopes to use her education and life experience as an addictions counselor in Aboriginal communities. After gaining experience in the counselling field, Bronwyn is planning to get her Master of Education in counselling psychology. Anastasia is in her third year at the University of Calgary, working toward her bachelor of science in mechanical engineering. Since 2015, Anastasia has been a peer helper with the Emerging Leader program on campus, facilitating events and supporting first year students in the program to help them succeed. She is currently an Aboriginal advisor for the APEGA Education Foundation, providing input on programs that can benefit Aboriginal students in engineering and geoscience. 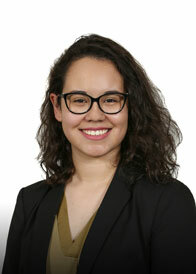 She is also working as a research assistant for the Indigenous Strategy Task Force on campus, analyzing the programs and services offered by the university and how they can be improved. After graduating, Anastasia plans to work in the energy industry, developing methods to increase sustainability and reduce environmental impacts. She also hopes to inspire other First Nations students to pursue education in engineering or other energy related fields. 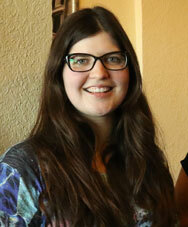 Brittany is in her fourth year at the University of Regina working toward a bachelor of social work degree. 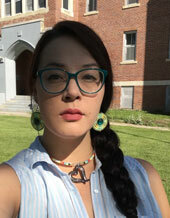 She has gained valuable experience toward her career goals by volunteering at the Maskwacis Counselling and Support Services, Restorative Justice and Maskwacis Ambulance and Authority where she has learned how to work with Aboriginal youth in crisis through suicide intervention and self-esteem programs. After graduating, Brittany hopes to obtain her master’s degree in social work and research mental well-being in her own community, eventually comparing her findings with other communities in the hopes of identifying programs and solutions that can make a difference. Alison is currently at the University of Lethbridge in her fifth year working toward a bachelor of arts and eventually her education degree. Alison is very involved with the Native American Studies Association on campus, supporting her peers and organizing events for Native Awareness Week. This past year she held an executive position as the counselor at large. Alison was awarded as their Valedictorian for her dedication to her studies and her peers during her time at Red Crow College. Alison is also dedicated to volunteering in her community, most recently with the Oppokaasin Early Intervention Society, the Sisters in Spirit candle light vigil supporting missing and murdered Indigenous women and also organizes a Girls Day, where she spends a fun day with First Nations girls to help build their confidence. In 2015, Alison was honored to be the master of ceremonies at the National Aboriginal Day celebrations in Lethbridge. Ariel is in her graduation year at SAIT, studying avionics technology. Ariel has been very involved in her community over the years, including volunteering at the Strathmore Hospital and with the Siksika Nation Youth and Chief Council. In the summer months she works as the First Nations youth entrepreneur symposium coordinator with Community Futures Treaty 7, an organization that focuses on supporting economic development and small business endeavors in the community. After graduating this spring, Ariel hopes to receive her Aircraft Maintenance Engineer ‘E’ license with the goal of owning and operating a certified organization to service aircraft avionics systems. She also plans to complete an additional two years of studying to obtain her bachelor of technology and eventually enter the MBA program at Thomson Rivers University. One day, she would also like to start a non-profit organization to financially support students so that they can focus on working toward their education goals. 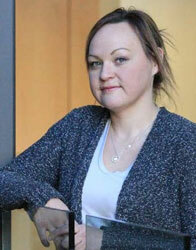 Shannon is in her third year at the School of Business at NAIT, with a focus on accounting. From 2007 until 2015 she gained valuable experience working as the finance officer within the Bigstone Cree Nation. She made recommendations on how to distribute funds to ensure there was sufficient cash flow throughout the month. She also volunteered her time to help community members with their personal finances and taxes so they didn’t have to pay for someone else to help them. 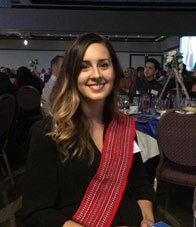 When she graduates, she will hold a bachelor of applied business administration degree in accounting, and ultimately hopes to become a finance director or chief finance officer for a First Nation. While being employed she plans to pursue the Chartered Professional Accountant (CPA) designation. Shannon lives by the motto that you can accomplish anything in this life if you want it bad enough. Melanie is currently in the faculty of Native Studies program at the University of Alberta, working toward a minor in political science. Prior to that, she was studying at the First Nation University where she was elected as the student president of the Saskatoon campus. 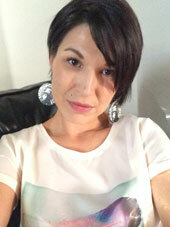 She has volunteered with many events and programs in her community, and is passionate about Indigenous issues in Canada. Melanie wants to eventually go on to law school, focusing on Aboriginal law so that she can make positive changes in the legal system through policies that can enhance economic development, improve consultation and contribute to building stronger, healthier communities. By sharing her own personal experiences, Melanie also hopes to be a role model for youth in her community that struggle with the stresses of peer pressure, addiction, abuse and suicide.